The revolutionary EC510 is changing everything. Effortlessly clean escalators and moving walkways in under one hour, using both a dry sweep and wet scrub cycle to effectively remove even the toughest debris. Innovative and competitively priced, it will blow your mind and not your budget. The new way to clean escalators. 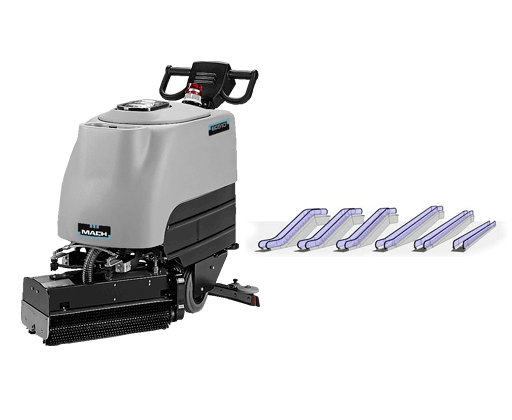 The EC510 is a professional escalator cleaner designed to effortlessly clean any brand, size or style of escalator and moving walkway, in under one hour. Work in dry sweep and wet scrub modes, deeply scrubbing and drying steps while the escalator is moving. 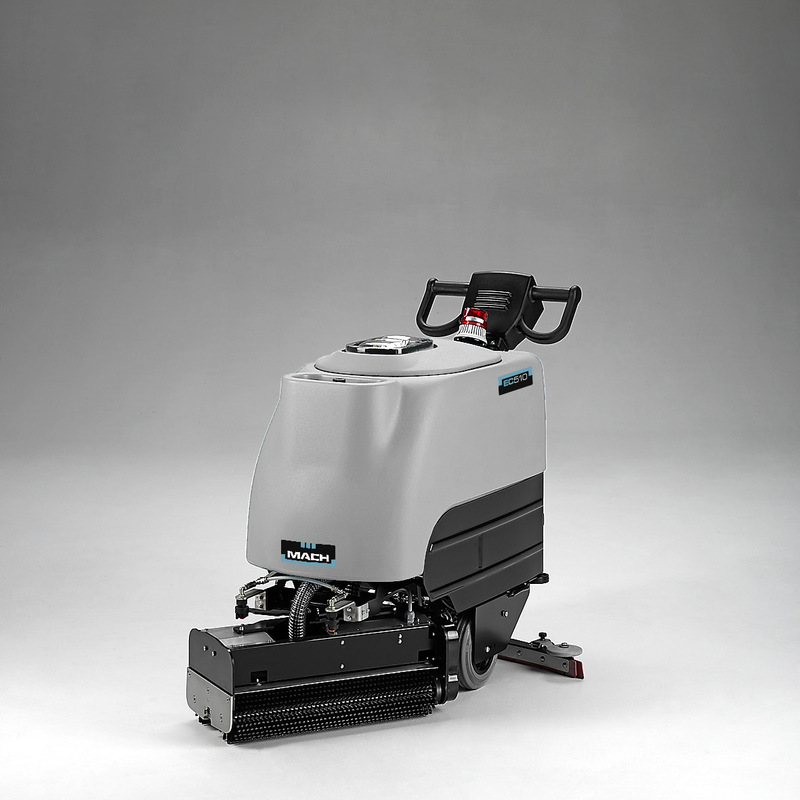 The unique dual brush system aggressively lifts and removes grease, stones, spillages and trodden in dirt, while a powerful vacuum ensures full water and debris pick up, leaving the escalator perfectly clean and ready for use. 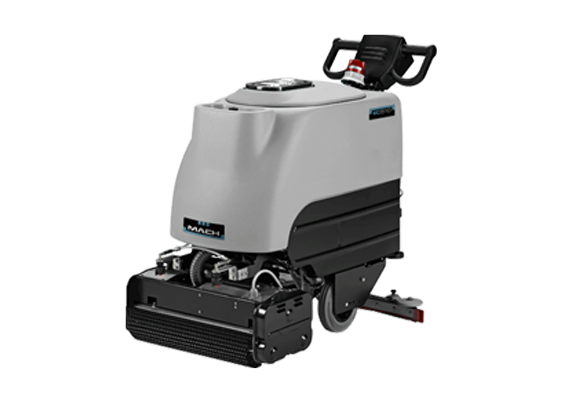 The EC510 is ideal for the restoration of neglected escalators and regular maintenance cleaning. The machine is safe and easy to use, with simple one-touch controls and once set-up it can work independently, leaving the operator free to continue with other work. The EC510 is ergonomically designed for full operator comfort and its compact design makes it incredibly easy to transport. An unclean escalator detracts from building aesthetics, affects customer opinion and is susceptible to damage, resulting in maintenance, escalator downtime and additional cost. Regularly cleaning escalators will extend working lifetime whilst adding value to your business. 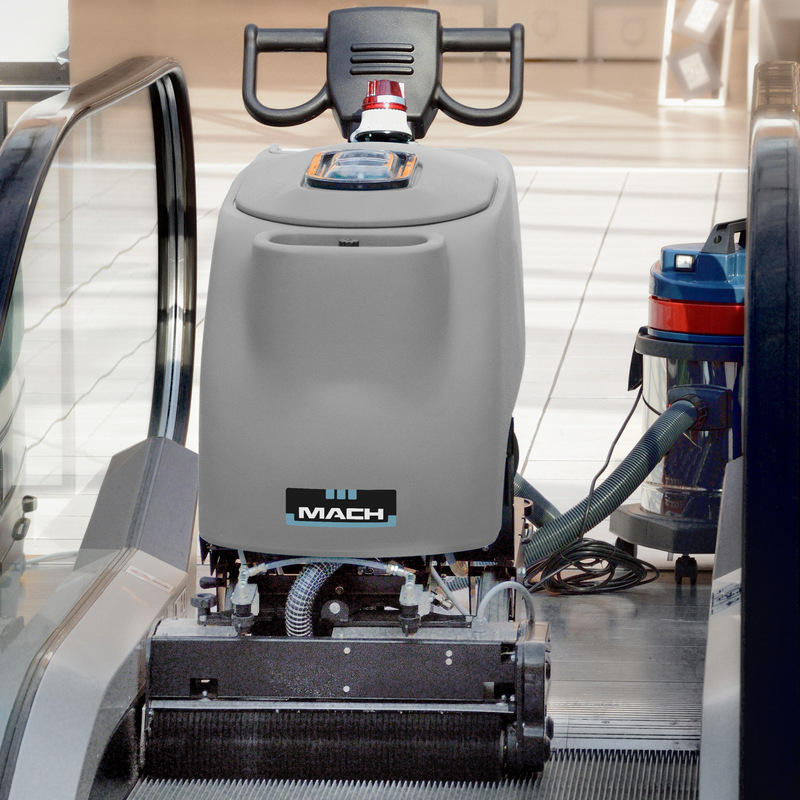 Do it with the EC510, the machine that’s revolutionizing escalator cleaning. As of September 2018 the EC510 has been replaced by the new escalator cleaner EC520. 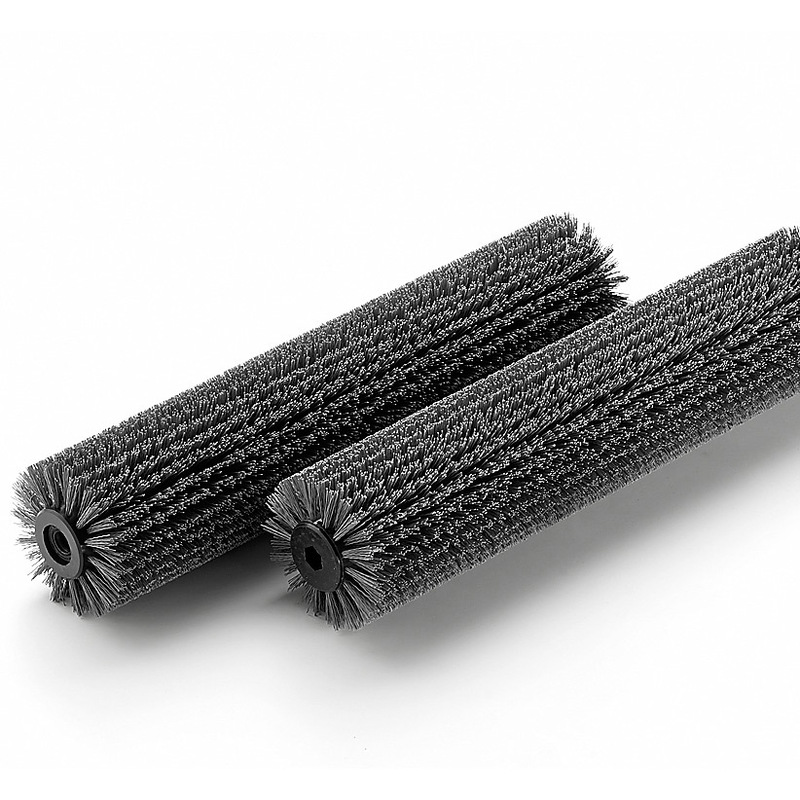 A double roller brush system aggressively lifts and removes debris, without damaging the steps. The unique brush head rotates 180° degrees, cleaning the steps on both sides independent of width. 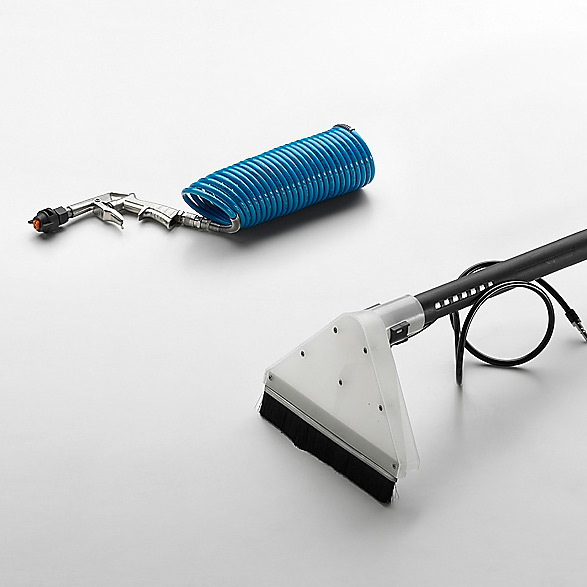 The EC510 comes with a range of accessories to clean the area surrounding the escalator, including a vacuum wand for the dry and wet cleaning of the landing plates at top and bottom of the escalator. Leave the EC510 to get the job done safely by itself, freeing up the operator to perform other tasks. Shopping malls, retail stores, subways, train stations, airports, casinos, hotels & resorts, office buildings. Escalator, travelator and hard floor areas.